If babies could come out of the womb decked out to their personality Hailee would have been draped in jewelry, high heels, makeup, and the works. She is definitely my girly girl! Over the years I have had so much fun reliving my childhood through the toys she is interested in. 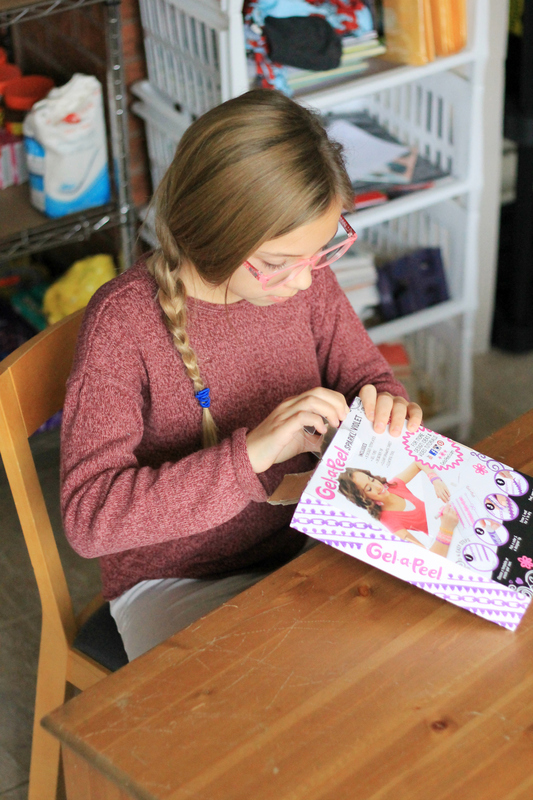 Recently she went to a birthday party and one of the gifts my Step-Mom’s cousins daughter (wow that was a mouthful) was Gel-A-Peel. When Hailee returned home from the party she wouldn’t stop talking about how cool they looked and it was going on her Christmas list for Santa. Yes, Hailee at 11 still believes in Santa. Well, maybe she doesn’t. However, she knows only those who believe in Santa get gifts from Santa so she might just be playing along to appease me. Christmas came early as it was one of the toys we were sent for review this fall from MGA Entertainment. When the package arrived Hailee couldn’t wait to dig in and start creating some bracelets for herself. Note to parents, the box opens on the side. Hailee was so excited to get into the box that she didn’t look to see where it opened easily and just ripped the top off! Before Hailee got started we read the instructions as this was the first time we were using Gel-A-Peel. We decided to try a semi-easy bracelet first so we could get used to how the product works. There are great instructions right on the page that you can read as you are working. It tells you exactly how to make each piece in easy to follow steps. Hailee’s did really well on her first try. She had a few thin spots on her first bracelet which caused it to break but lesson learned – go thicker for more durability! 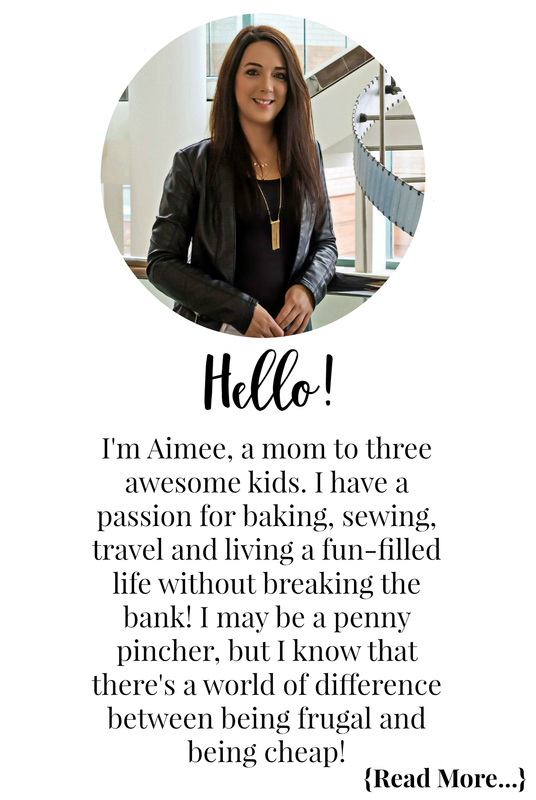 The Gel-A-Peel website has some great tips to help your little one get amazing pieces! We also received the 3D Design Station and Hailee has been having a blast making all sorts of cool things! They have a great variety of products and they are rated for ages 8 and up. From Starter Kits to their 3D Station they will offer endless hours of creative fun! 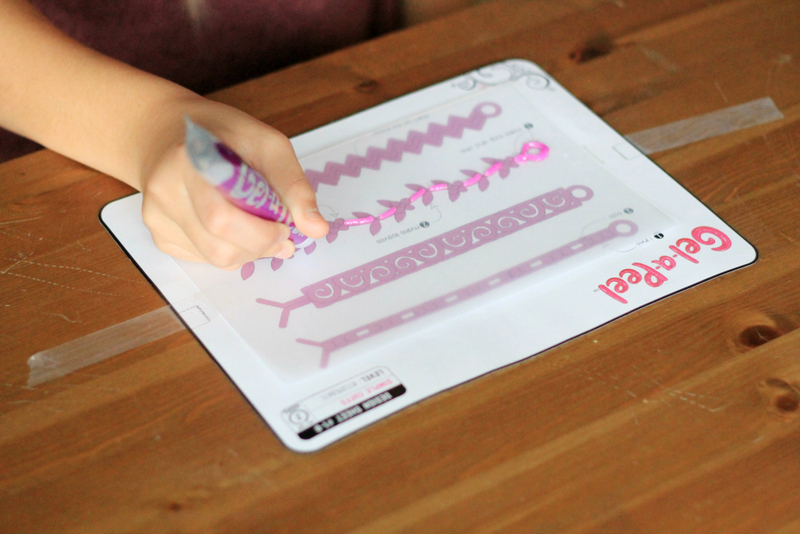 Design and create your own 3D accessories with Gel-a-Peel! Make cell phone cases, jewelry, keychain’s, pencil topper’s, and more! The 3D Design Station comes with 4 gel tubes, including an exclusive color – Sparkle Crystal Clear! The Gel-a-Peel Deluxe Pack has the widest assortment of hot colors and design tips, so you can create accessories to match your individual style! Add a pop of color to your wardrobe with this Gel-a-Peel Accessory Kit. Design and create your own fashionable accessories. If you’re into bright colors, the Gel-a-Peel Neon Accessory Kit will certainly gel with your style! 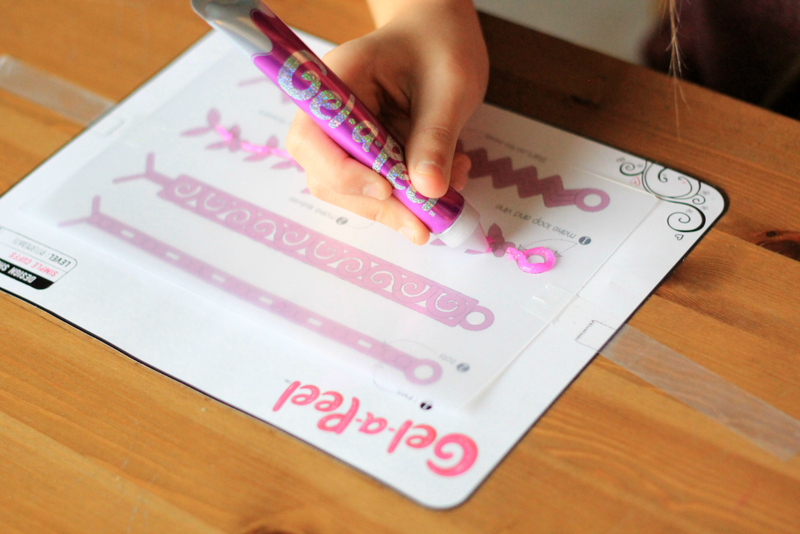 The Gel-a-Peel Starter Kit has everything you need to design and create your own bracelets and cuffs. Starter kits come in a variety of colours: sparkle pink, sparkle purple, neon pink, pure gold, and sparkle. You can find Gel-A-Peel’s online at Chapters/Indigo. From all the gifts this year I think this is the most drool worthy. Such a neat idea! Hey this is great to know about! my girl loves to create! 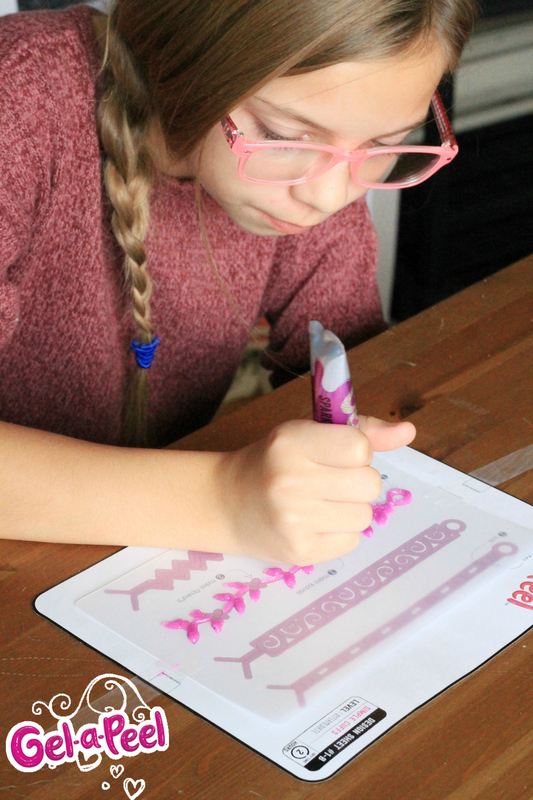 Very coool, my daughter would enjoy trying to make her own Gel Jewelry!